Living... in the Upper East Side of Manhattan, in a deluxe apartment in the sky. You might say he moved on up from his old working class home in Astoria, Queens – you might even sing it. Thanks to his thriving dry-cleaning business, George is now a wealthy man in the 1970s who is about to learn that money won’t solve all his problems. Profession... owner of Jefferson Cleaners, a growing chain of dry-cleaners in the New York area. After getting into a car accident, he used the insurance settlement to fund his first location. The business grew and grew until he could afford a maid to wash his clothes while he washes Manhattan’s. Interests… money, money, money. George will do anything to scheme his way into rubbing elbows with other wealthy New Yorkers, especially if he thinks they can help him make money. He’ll pretend to be someone else, hide in a bathroom, lie about his education – whatever it takes. Challenge... adjusting to life as a wealthy businessman. Sure, George has a great luxury apartment, but it’s next to an annoying (in George's mind anyway) British guy. He has a maid, Florence, but she doesn’t hesitate to speak her mind and tease him when he gets on her nerves. And he has more money than he ever dreamed of, but it’s never enough. Personality... loud-mouthed, hot-headed, ambitious, and clever. The 1970s were a progressive time, and he doesn’t see anything wrong with spouting off about his problems with changing race relations. He has a lot to be proud of – he has a loving family, a thriving business, a successful son – but don’t expect George to ever feel satisfied. Something’s always bugging this crusty New Yorker, and he won’t hesitate to let you hear all about it. 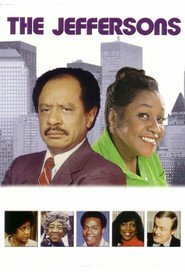 George Jefferson's popularity ranking on CharacTour is #4134 out of 5,000+ characters. See our top-ranked characters and read their profiles.